Learn how to become a better coach with this programme. You’ll learn how to structure your coaching sessions more effectively and how to give feedback in the right way so you not only help to improve the performance of your staff but you leave them motivated as well. This programme is made up of 12 microlearning sessions. 60 Seconds – What Is Coaching & Are You Doing It? What Is Coaching & Are You Doing It? You will also receive a coaching blueprint to help you embed the learning in the workplace. The price of this course is just £19.95 per person. For that you will have access to the 12 microlearning sessions that make up this programme. You can book and pay with your card immediately or through invoice. Q – Can I lease or purchase this course to put on our own LMS? Q – Is this programme certified? A – Yes! It is certified through CPD. 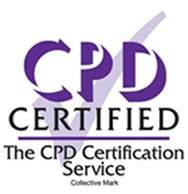 Once you have completed the programme you will receive a CPD certificate. Q – Do I get a discount if I order in bulk? Q – I’m booking for someone else. What happens after I order? A – We’ll contact you to get their details and we’ll set them up on the system. Q – Is there a test or an assessment at the end? A – No. These sessions are all about taking action in the workplace and making a difference rather than a memory test. Q – How long does each session last? A – The sessions range from 60 seconds through to 5 minutes. The majority of them are 3 minutes. Q – Do I receive any reference materials? A – Yes! Each session comes with a one page cheat sheet, the transcript of the session, 3 specific actions to take back in the workplace and some coaching questions about the session for your own line manager to use with you or for you to use them as a self-coaching aid. You’ll receive a CPD certificate once completed.